Our first event in Suryavana this year will be at the end of April, called the "Fundamentals of Mindfulness Yoga" and we will explore our Mindfulness approach to yoga. 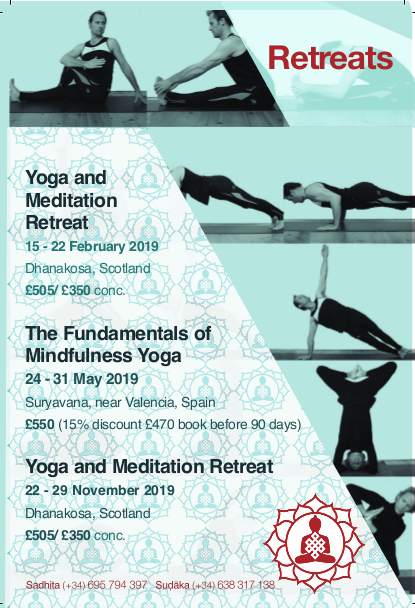 Suryavana Retreat Centre is proving to be an excellent practice place, easy to get to from Valencia. Padmashalin our cook is now resident at Suryavana and thanks to Lu Turner and friends the gardens and orchards are in better condition than ever. 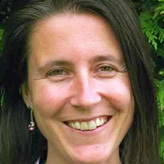 Sraddhagita is a Buddhist yoga practitioner of many years experience and teachers and lives in London. 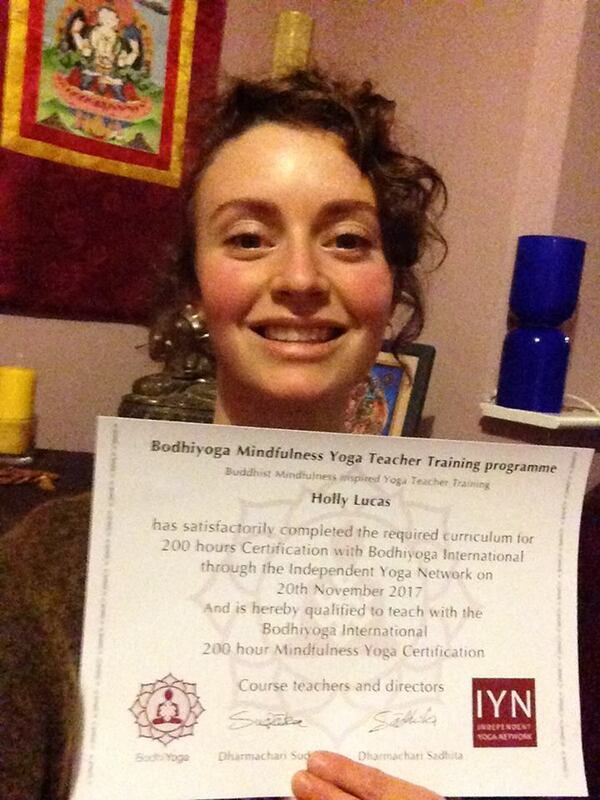 I am going to compare Buddhism and yoga in terms of the body and practice. 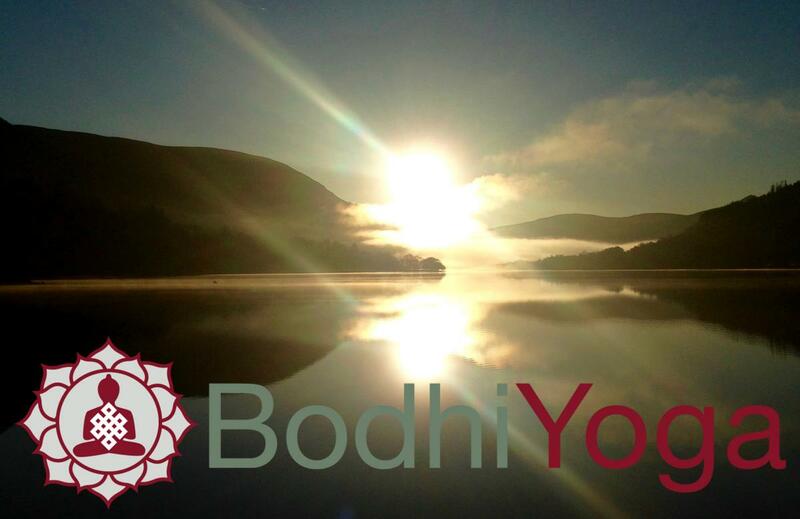 In a few days Sadhita and I travel to the "mystic" north of the British Isles to teach a yoga and meditation retreat with our friend and colleague Amitashuri, with Angela, one of our 200 hour students and friends supporting the event. Straight after the event we go south to London to teach a workshop at the London Buddhist Centre in Bethnal Green. 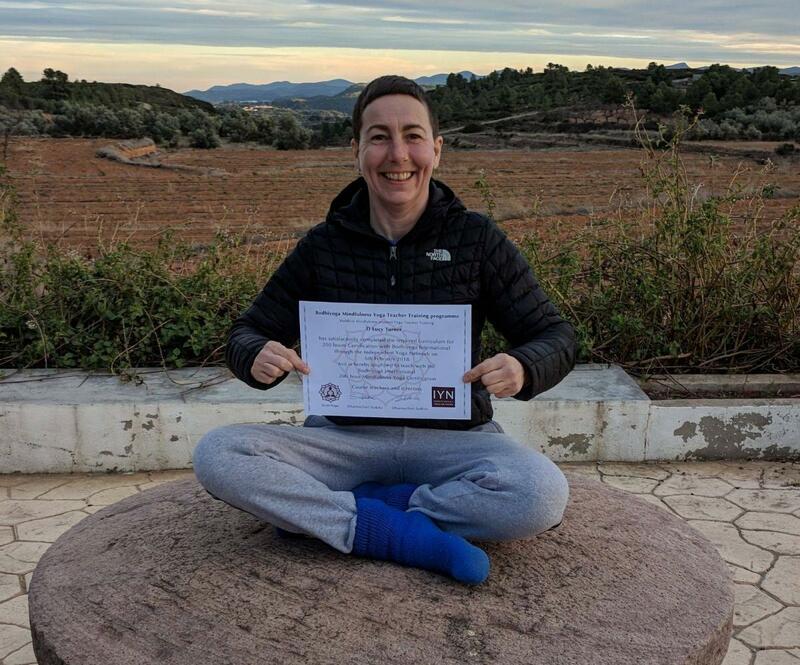 Lucy Turner who trained with us at 200 hour level in 2016 handed in her assignments when we met here in Valencia. She graciously is offering a week of gardening work at our retreat centre Suryavana hence the photo from the front yard. 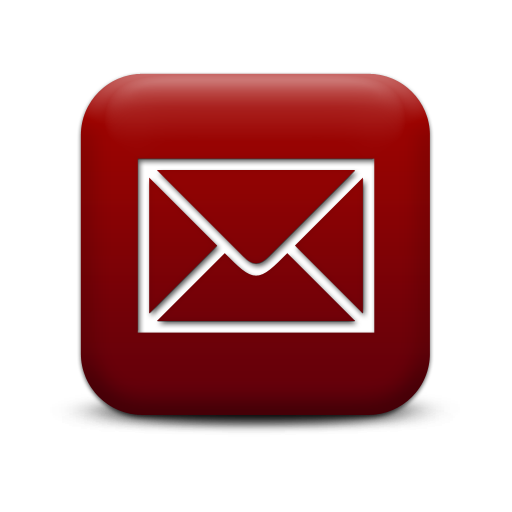 This essay will present a brief overview on some experiences on treating PTSD (post- traumatic stress disorder) with mindfulness based stress reduction (MBSR) and Trauma Sensitive Yoga (TSY). To start with I will give a summary on what trauma and PTSD is, then explore MBSR and TSY as treatment for PTSD and then finally compare MBSR with TSY. 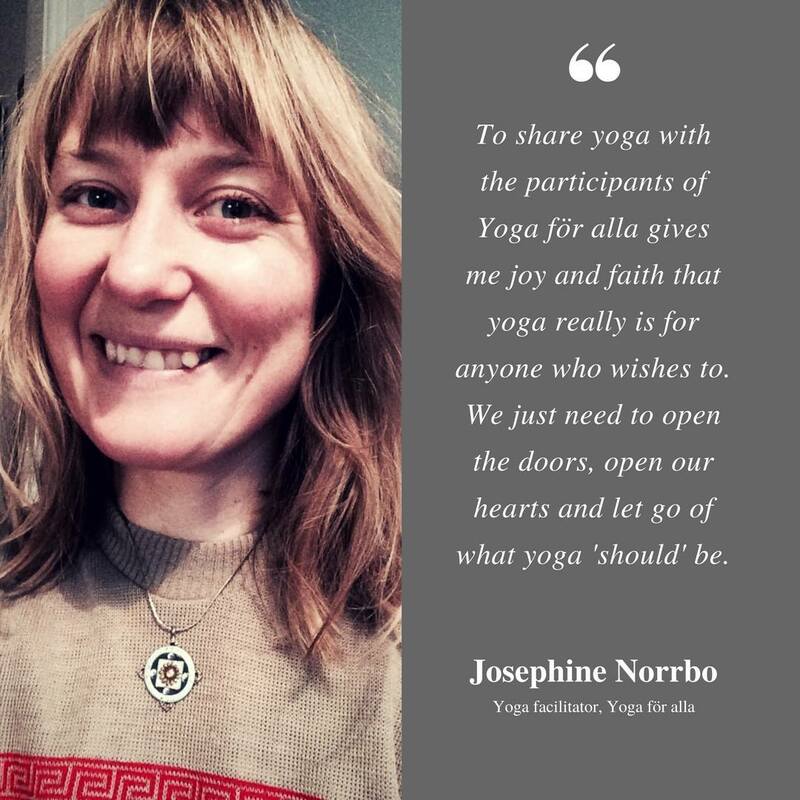 This essay will explore some aspects of yoga and hip work. The hips are an area which to most of us hold a lot of tension. This can have many reasons, but in this essay we will look at one specific problem, the piriformis syndrome. What are the main causes of performs syndrome and what asanas can we use to relieve the pain? 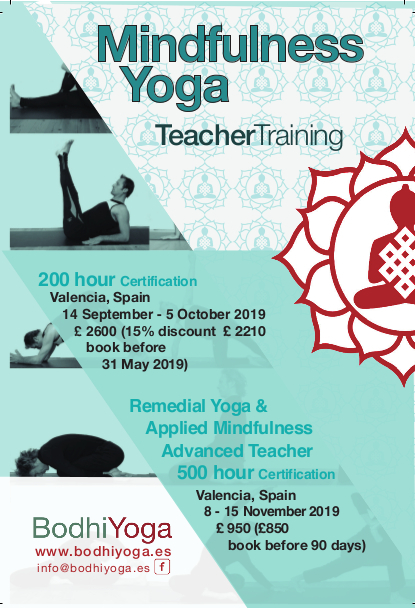 Apart from that, I will also explore the statement that ’emotions are stuck in the hips’, which is commonly heard through out yoga classes - are there any relevance to this and how can this be addressed in our yoga classes? 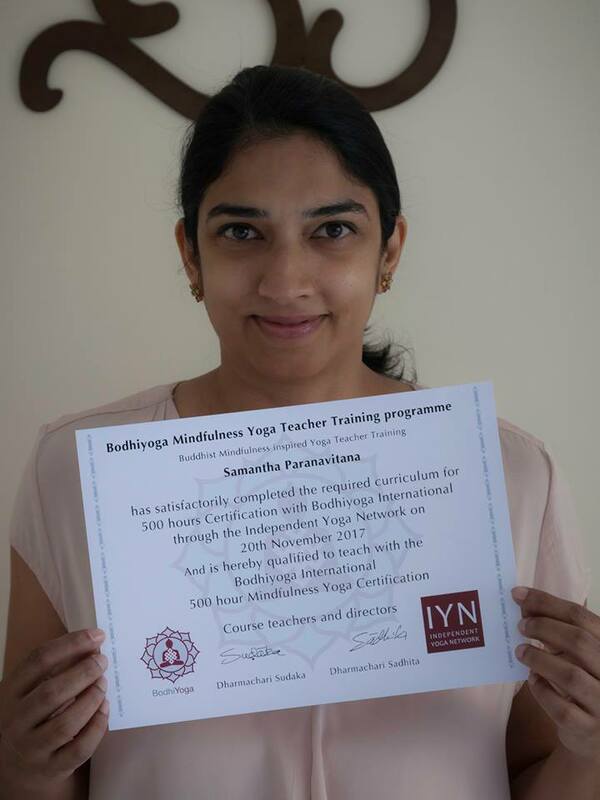 Samantha Paranavitana who lives and works in Bahrain successfully receives her Certification for the 500 hours Contemporary Mindfulness and Remedial Yoga training she did with us in Solterreno.